Two Venues, Twice as Exciting! Complete the form below to receive an exhibitor kit and sponsorship opportunities by email. We will also send you invitations for special offers, networking events and launch parties. 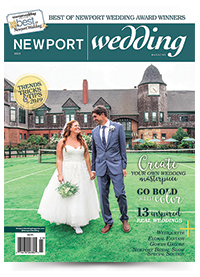 If you have questions or would like more information about being a part of our shows, please call (401) 841-0200 or email info@newportweddingexpo.com to connect with one of our wedding marketing consultants. ©2019 Gatehouse Media Inc.. Powered by ExpoSites.